Appearing with Cathy on this episode: Becky W.C., Scott C., Lisa V. and Marcy G.
When her Aunt Peg lands a gig as judge at a Kentucky dog show, Melanie Travis welcomes the opportunity for a road trip. Too bad a killer has planned a deadly detour. Within three days of her arrival, Ellie Gates has been found dead. Though the police and the family believe the death to be an accident, Aunt Peg is sure they are wrong. Melanie discovers that Miss Ellie was a woman of many secrets. And she must quickly determine which one was fatal before Melanie herself becomes the next target. This is the unauthorized, uncensored and unbelievable true story behind the making of a pop culture phenomenon. The original Star Trek series debuted in 1966 and has spawned five TV series spin-offs and a dozen feature films, with an upcoming one from Paramount arriving in 2016. The Fifty-Year Mission is a no-holds-barred oral history of five decades of Star Trek, told by the people who were there. Hear from the hundreds of television and film executives, programmers, writers, creators and cast as they unveil the oftentimes shocking story of Star Trek‘s ongoing fifty-year mission -a mission that has spanned from the classic series to the animated show, the many attempts at a relaunch through the beloved feature films. 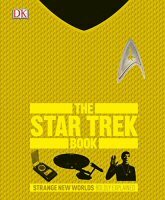 Make no mistake, this isn’t just a book for Star Trek fans. Here is a volume for all fans of pop culture and anyone interested in the nuts and bolts of a television touchstone. An atmospheric, transporting tale of adventure, love, and survival from the bestselling author of The Snow Child , finalist for the Pulitzer Prize . A woman finds love and closure, and rediscovers herself, when she returns to her roots in the enchanting new novel from the author of The Irresistible Blueberry Bakeshop & Café. Newly jobless, newly single, and suddenly apartmentless, writer Grace Hammond has come unmoored. A grammar whiz who’s brilliant at correcting other people’s errors, she hasn’t yet found quite the right set of rules for fixing her own mistakes.Desperate to escape the city and her trifecta of problems, Grace hits pause and retreats to her Connecticut hometown. What begins as a short visit with her parents quickly becomes a far more meaningful stay, though, as she discovers that the answers to what her future holds might be found by making peace with-and even embracing-the past.As Grace sets out to change her ways and come to terms, finally, with the tragedy that took her older sister’s life so many years ago, she rekindles a romance with her high school sweetheart, Peter, now a famous Hollywood director who’s filming a movie in town. Sparks also fly at the local bike shop, where Grace’s penchant for pointing out what’s wrong rattles the owner’s ruggedly handsome schoolteacher son, Mitch.Torn between the promise of a glamorous life and the allure of the familiar, Grace must decide what truly matters-and whether it’s time for her to throw away the rule book and bravely follow her heart. From the New York Times best-selling author of The Drunken Botanist comes an enthralling novel based on the forgotten true story of one of the nation’s first female deputy sheriffs. Constance Kopp doesn’t quite fit the mold. She towers over most men, has no interest in marriage or domestic affairs, and has been isolated from the world since a family secret sent her and her sisters from city to country fifteen years ago. When a powerful, ruthless factory owner runs down their buggy, a dispute over damages turns into a war of bricks, bullets, and threats as he unleashes his gang on their family farm. The sheriff enlists her help, and it turns out Constance has a knack for outwitting (and disarming) the criminal element which might just take her back out into the world and onto a new path in life. Quick-witted and full of madcap escapades, Girl Waits with Gun is a story about one woman rallying the courage to stand up for and grow into herself–with a little help from sisters and sheriffs along the way. Through Amy Stewart’s exuberant storytelling, Constance Kopp catapults from forgotten historical anecdote to unforgettable historical fiction heroine– an outsized woman not only ahead of her time, but sometimes even ahead of ours. Robert, an Oakland cop, still can’t let go of Suzy, the enigmatic Vietnamese wife who left him two years ago. Now she’s disappeared from her new husband, Sonny, a violent Vietnamese smuggler and gambler who’s blackmailing Robert into finding her for him. As he pursues her through the sleek and seamy gambling dens of Las Vegas, shadowed by Sonny’s sadistic son, ‘Junior,’ and assisted by unexpected and reluctant allies, Robert learns more about his ex-wife than he ever did during their marriage. He finds himself chasing the ghosts of her past, one that reaches back to a refugee camp in Malaysia after the fall of Saigon, as his investigation soon uncovers the existence of an elusive packet of her secret letters to someone she left behind long ago. Although Robert starts illuminating the dark corners of Suzy’s life, the legacy of her sins threatens to immolate them all.